Saturday- We had another workshop this morning at 11. Before then, I did laundry. We had a great time dancing, then returned at 12:30, ate lunch and took a short nap in the recliner. The temp was 97 today, so we stayed in and had a quiet afternoon. There was a pot luck dinner at 5:30, so we walked over and stood in line. Of course there were lots of great dishes. My dessert pan was completely wiped out! We returned and changed into our dance clothes and went to the next dance from 7:30 to 9:30. We returned exhausted and went to bed. Sunday- We had a pancake breakfast at 8. Then the dance started at 9. There are a lot of other callers here, and they had them call for us. Changing callers is always difficult, as you have to get their rhythm and voice. Changing each tip was hard and we all messed up a lot. I started to not feel well, so during one dance, I called another woman in to sub for me. After that dance, Bob and I walked home. We had a quiet afternoon and ate dinner at home. I felt better, so we went to the dance this evening. This was not part of the festival, but the caller, Jerry Junck, was calling Mainstream. The festival had been Plus dancing. We had a great time, as we were used to Jerry and could both understand him. It was also from 7:30 to 9:30. Monday- We got up late and did some tasks around the MH. I have the Roadrunner Newsletter to get out before the 15th, so I was working on that. 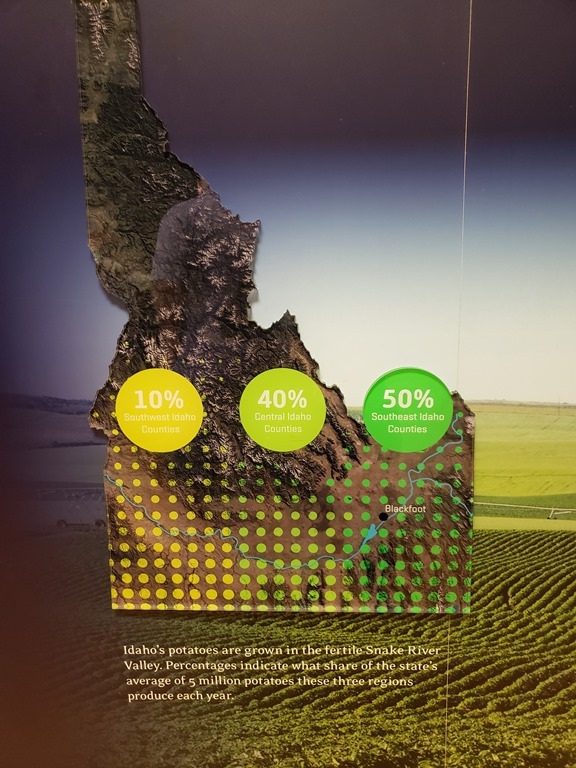 Then we went to Missoula. We stopped at the grocery store, Costco, and Walmart. We stopped for lunch at Big Sky Brewery. 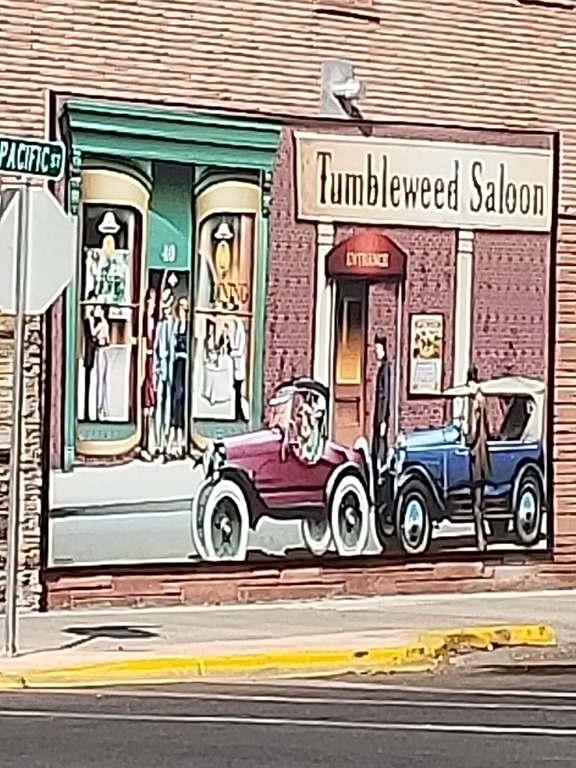 They had a food truck, as they do not serve meals. Bob had another flight. We drove back to the MH. We changed clothes and went in search of the Lolo Hot Springs. We were not interested in going to the resort, Lolo Hot Springs resort, we were looking for the local free hot springs. I had asked the gals at the RV park where it was located, they gave me directions, but we never found the hot springs. We returned, ate dinner, watched some TV and went to bed. Tuesday- Moving day again. We traveled the two miles out to Hwy. 93 and turned south. 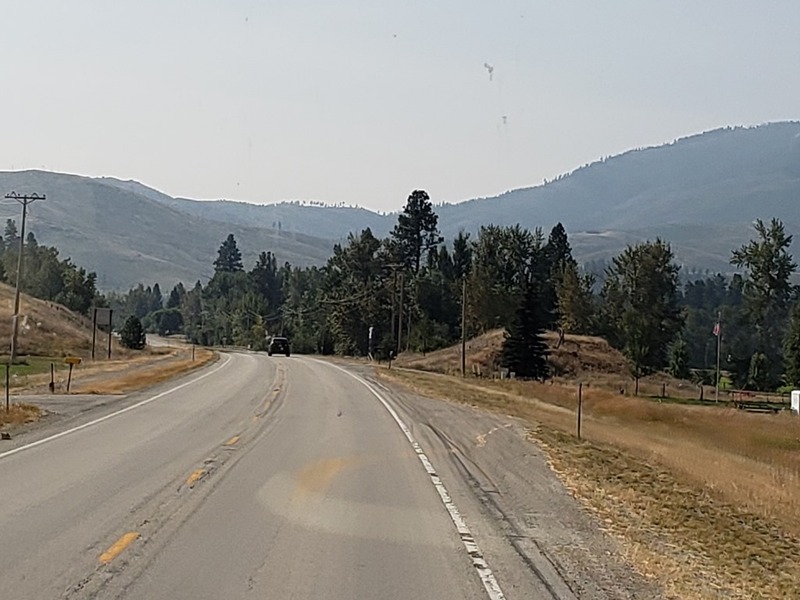 We noticed that we could see the close mountains, but the range to the back was entirely covered by smoke. The smoke was heavy all day. 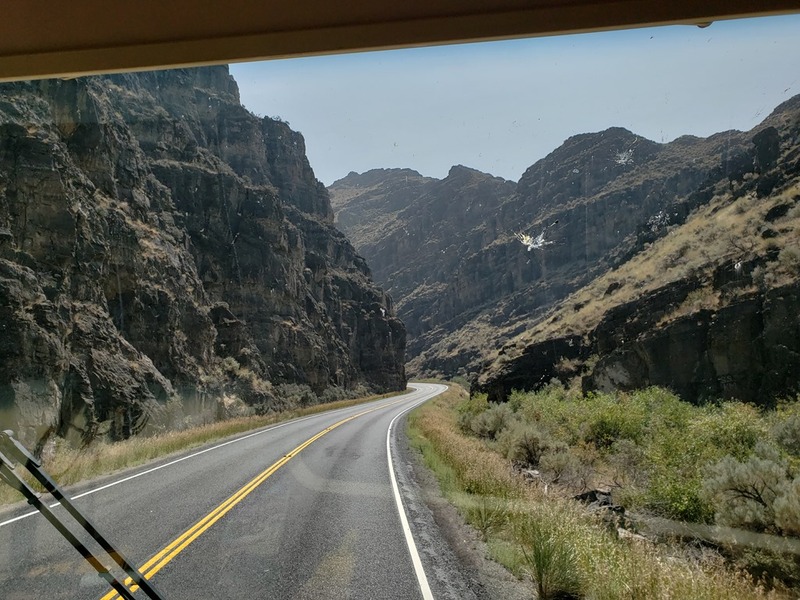 We traveled through a canyon. 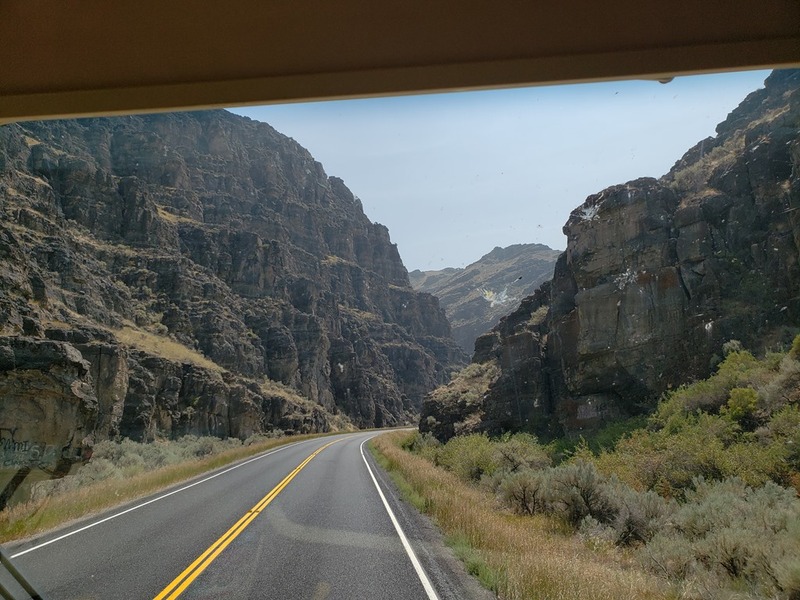 Once through the short canyon, we were driving along and we started seeing a lot of volcanic rock. 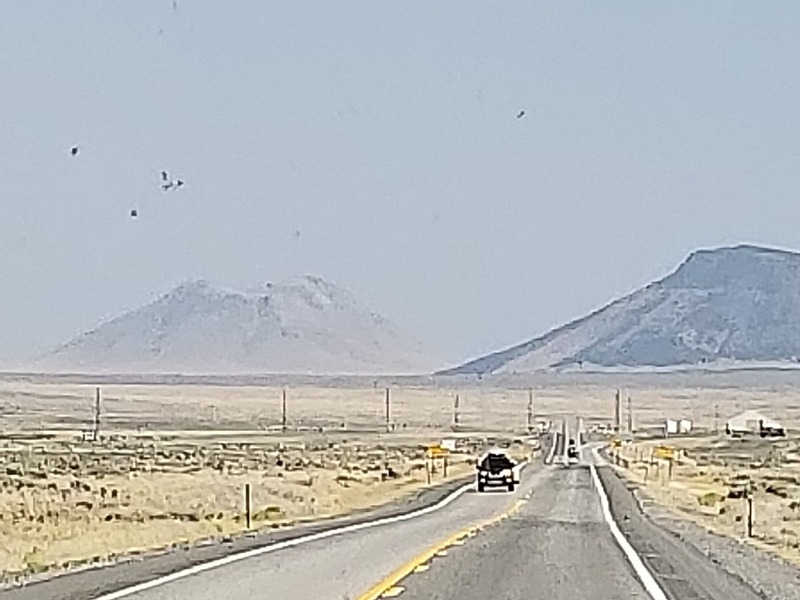 We spotted this old volcano. You can see where the top of the mountain blew off! 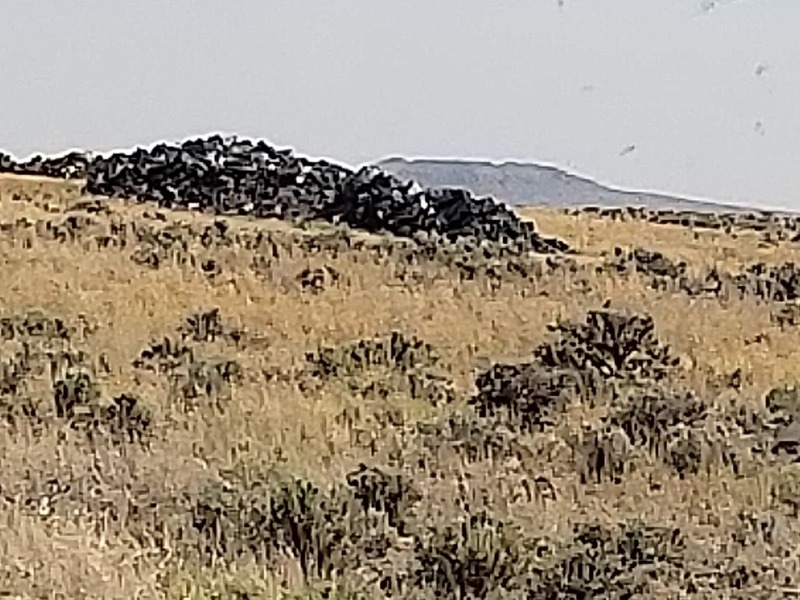 Our destination had been Craters of the Moon National Reserve, where we planned to boondock for the night. Unfortunately, there was a fire to the north west of there and the park was down wind of the fire. As we were driving, the smoke kept getting worse. We also saw signs stating that the natural areas were closed to camping, so we re-routed more to the east. 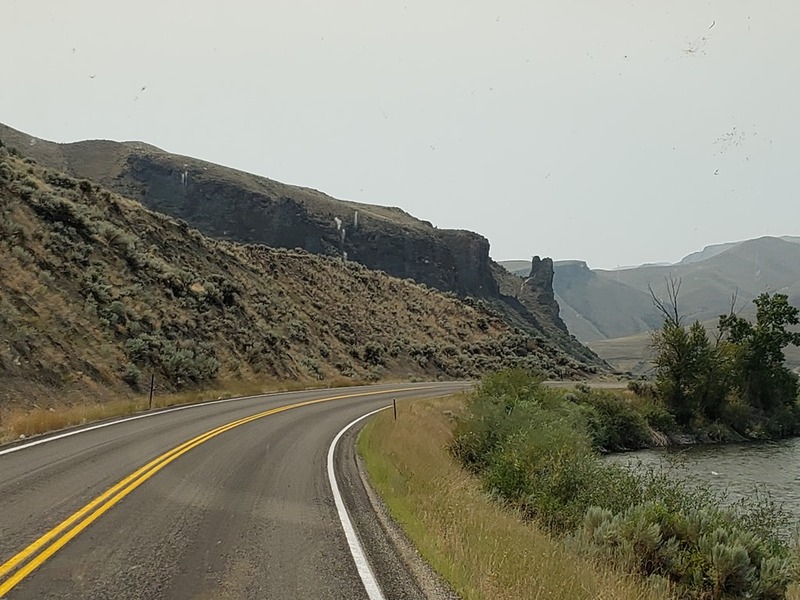 Our new destination was Blackfoot ID. We found a casino, about 9 miles south of Blackfoot in Ft. Hall, on I-15. It was the Ft. Hall Casino, Bison RV Park. We were able to get a reservation, and drove there, arriving at around 5 PM. $27 for FHU 50 amp. We were exhausted, as we had traveled about 8 hours. Under 300 miles, but through rough terrain. The MH even heated up going over a 7000 ft. pass, and we had stopped at the rest area at the top to cool the engine. We ate a quick easy dinner, watched TV and went to bed. 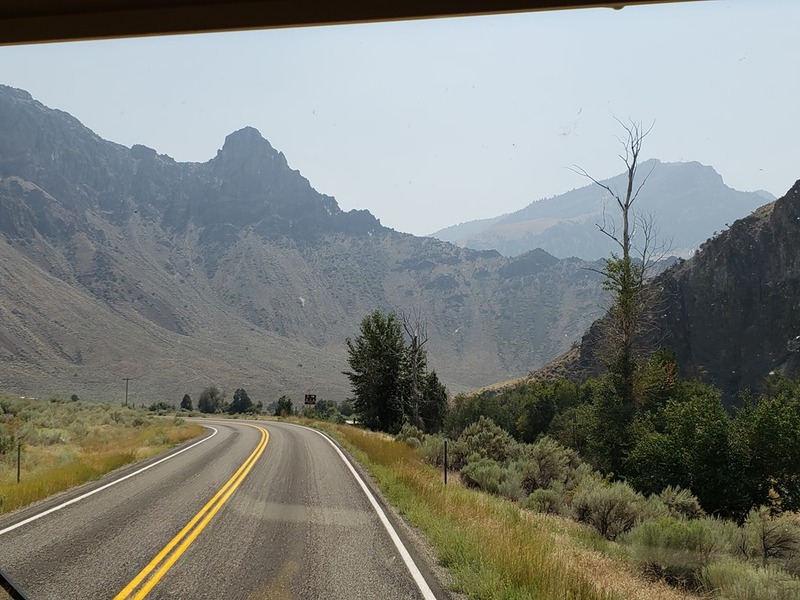 Wednesday- We did not have to leave the park until 1 PM, so we got the MH ready to leave, and then ran back north on I-15, to Blackfoot. 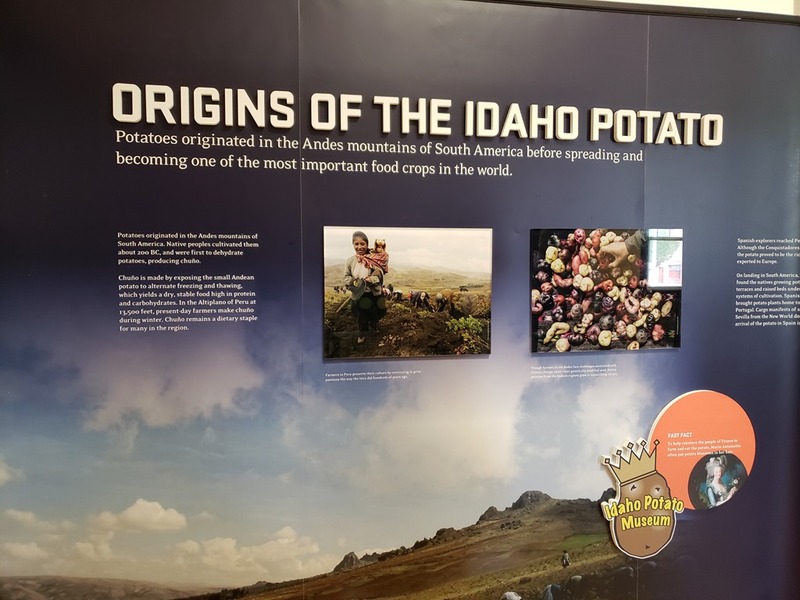 We visited the Idaho Potato Museum, located in an old train station. The museum was small, and only cost $3 each. 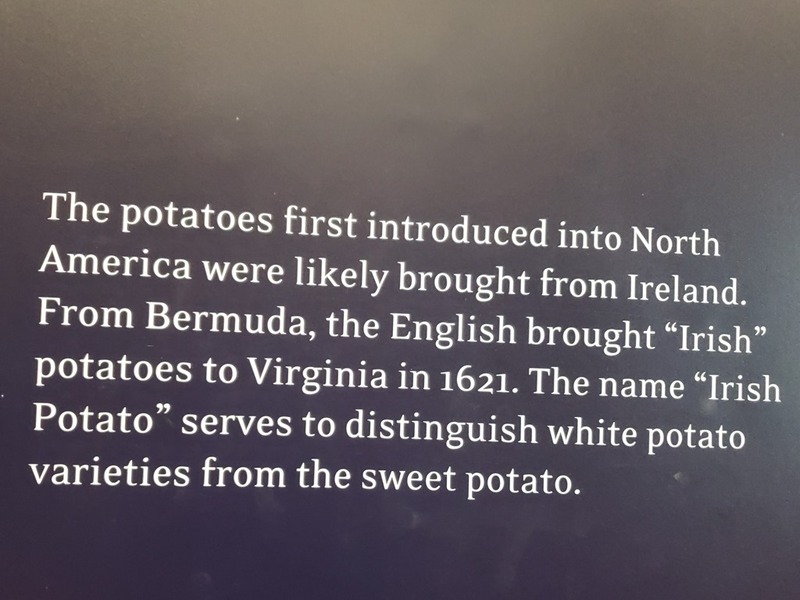 They talked about the origin on the potato. 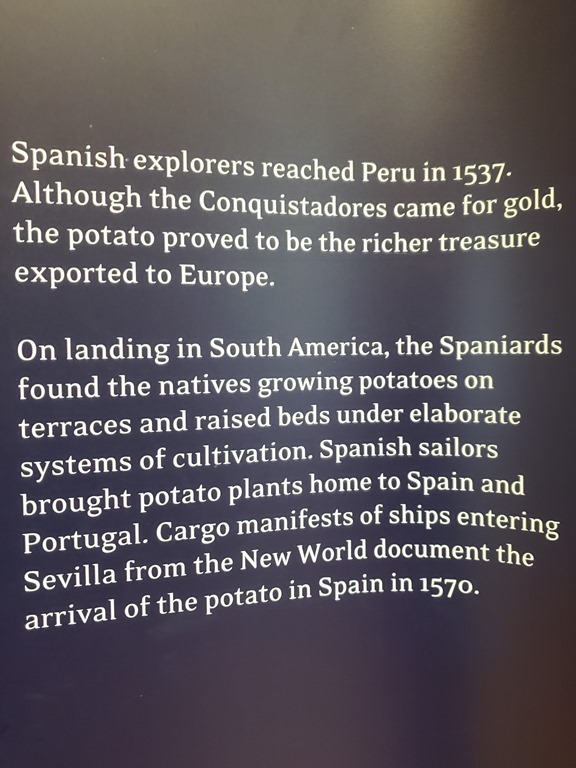 Potatoes were taken from South America to Spain in the 1500’s. 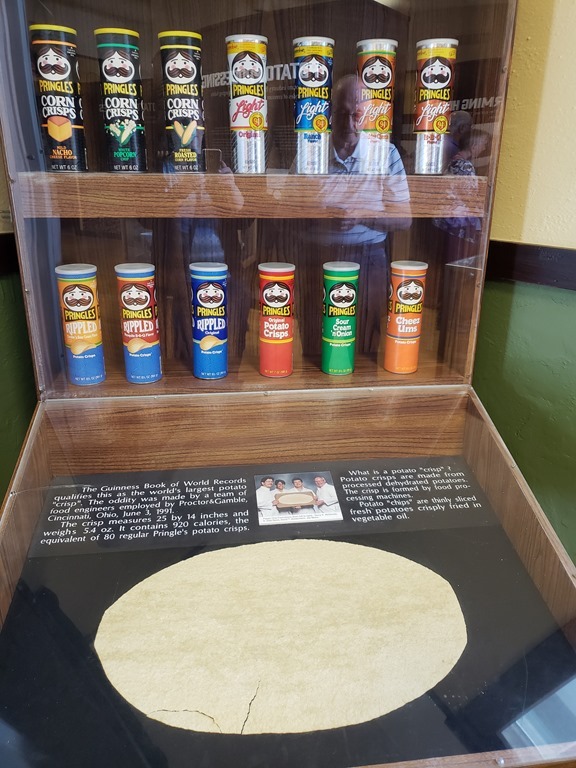 And here are the Pringles. Pringles are dehydrated and are not potato chips, they are crisps. Here is the world’s largest. 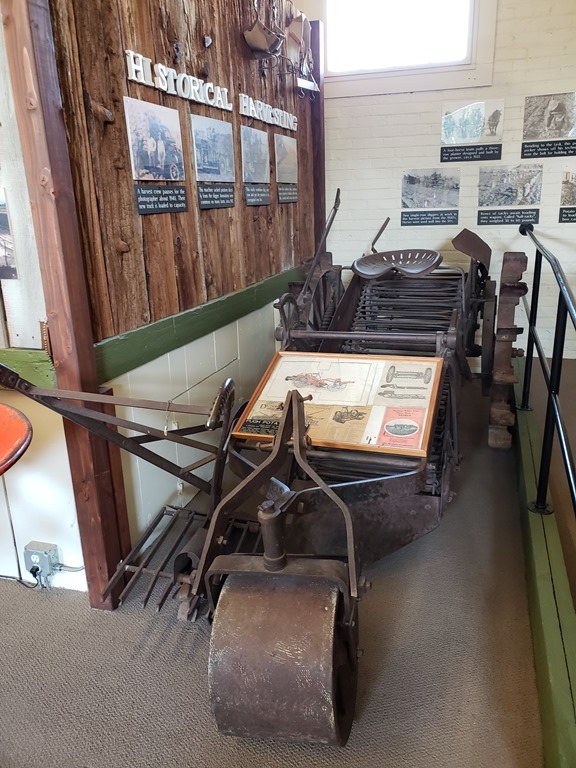 Below is an old fashion potato picker. 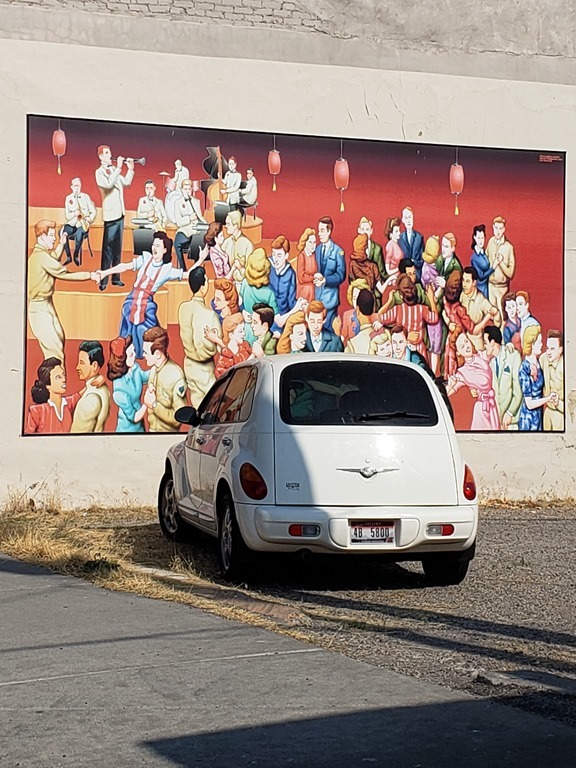 Around the time of the Russian Spaceship Sputnik, two Idaho brothers came up with a new machine, which they named Sputnik. 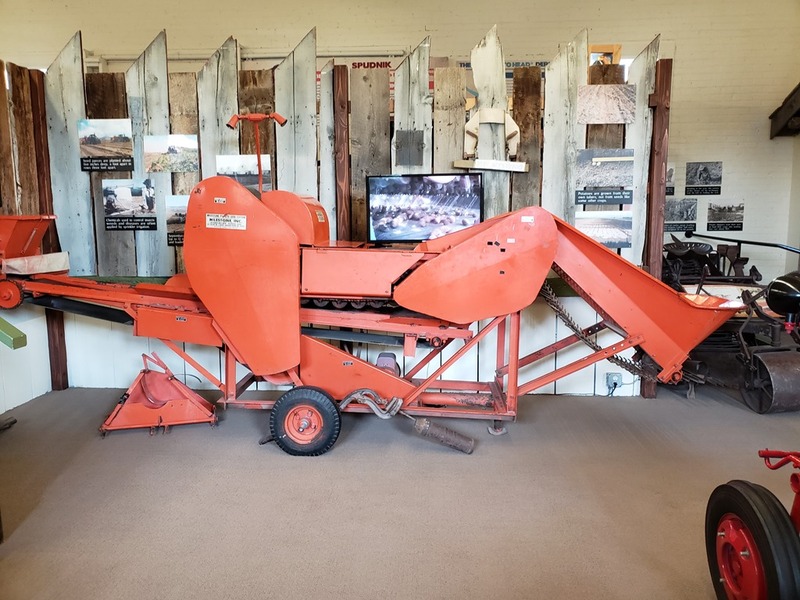 They started a company by that name, and the machine is still used in the harvesting of potatoes. This is a huge machine and you are only seeing one part of the machine. 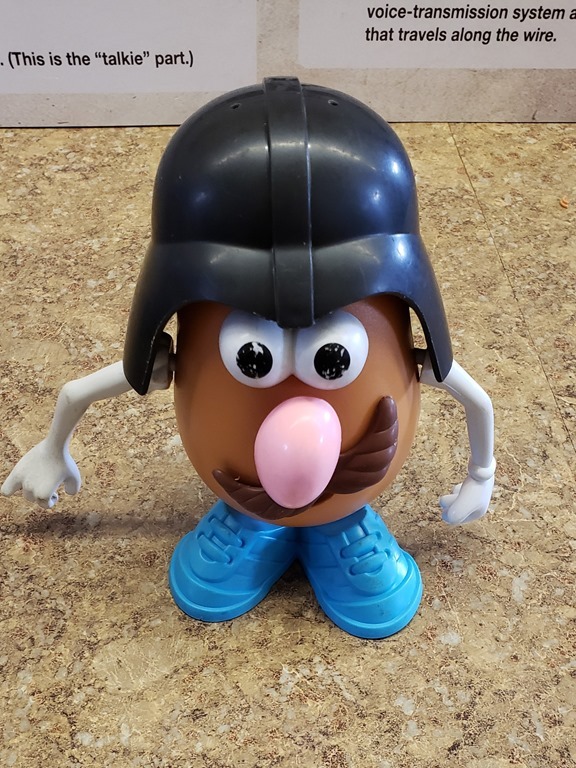 There was a kiddy area, and I made a Vader Tater… With a Mr. Potato Head. 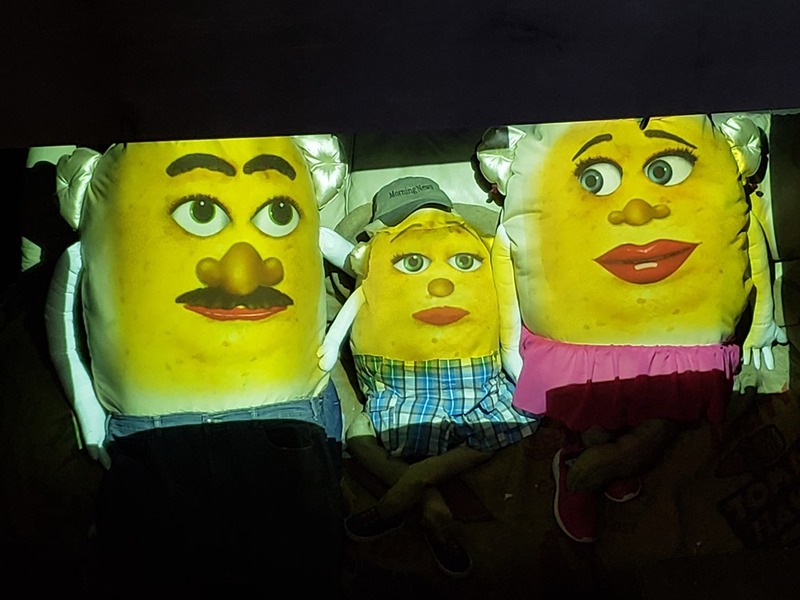 We watched 4 short films about potatoes. 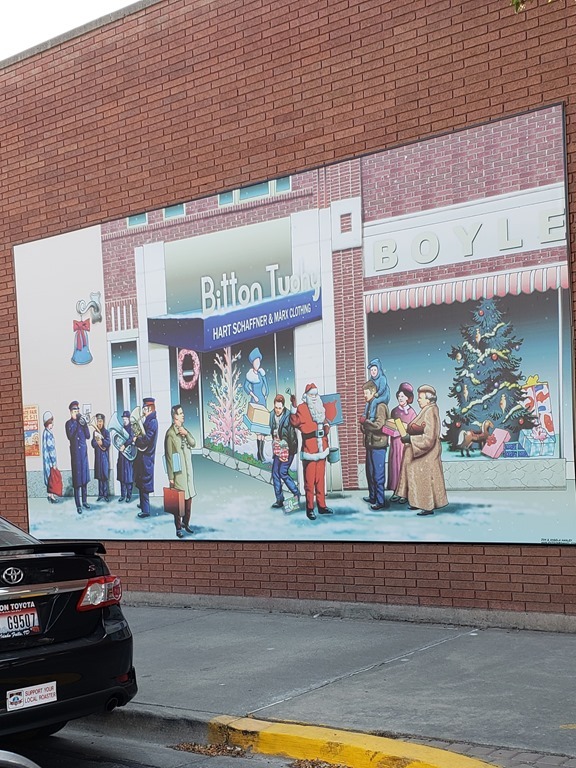 the first one was about a guy who makes various toy tractor replicas, a marketing film for a potato distributor which showed how the potatoes are harvested, a stupid cartoon, and an interesting film about McDonald’s Potatoes. 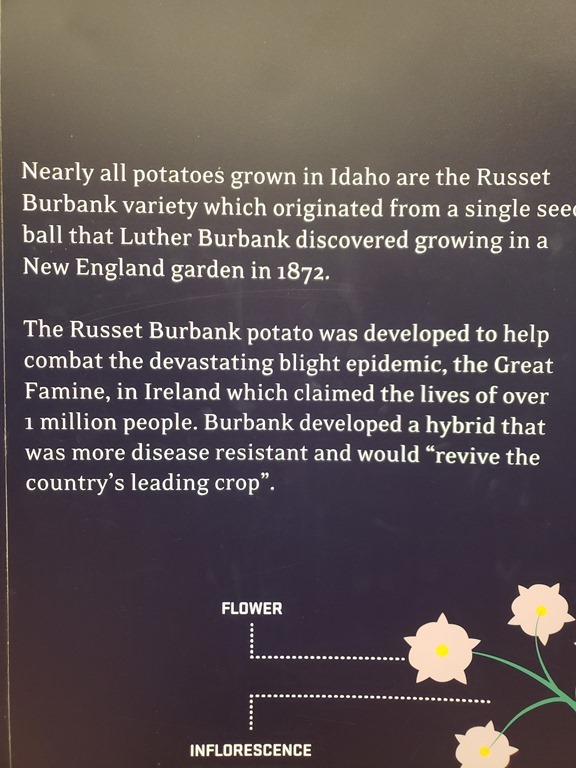 Basically, if the potato is not a russet, it is not an Idaho Potato. 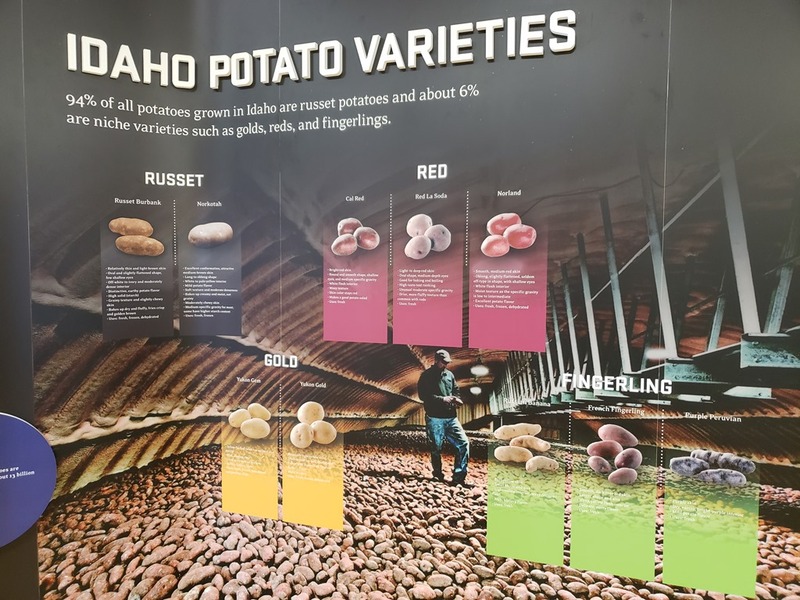 ALL Idaho Potatoes have the Idaho emblem stamped on them. 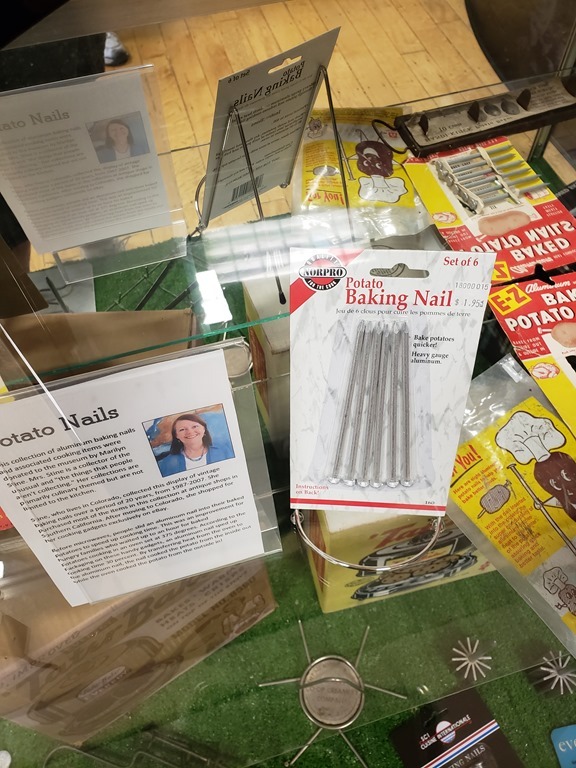 If the stamp is not on the potato, it is not an Idaho potato! 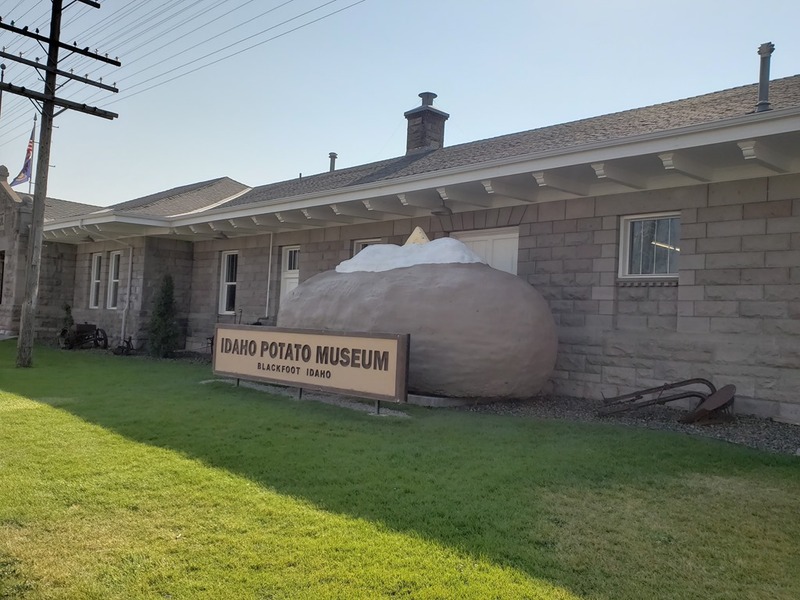 According to the museum, the volcanic rock landscape is ideal for growing potatoes. We continued on I-15 south, into Utah, to Charlie’s Service Center in Sunset, About 40 miles north of Salt Lake City. We are having Justin and his crew do the routine maintenance on our air conditioning. We pulled into the parking lot at about 3 pm. When Bob went inside to sign us in, the gal said she thought we were going to be there this morning. Nope, we have on our schedule, for the work to be done tomorrow. Oh well, a mix up. They will not get to us until tomorrow morning, which was what we planned anyway. Justin came out and parked us, then we settled in for the evening. They have FHU 50 service, included in your service package! We went to dinner at Holy Smokes BBQ. The meat was good, but we were not impressed with the sides. We returned home, watched some recordings, and went to bed. Thursday- We were up early, taking quick showers, eating breakfast and waiting to see what time they would come to do the service. Enrigue arrived at about 8;30. He did our maintenance last time we were here. He started the work and we used the roof air while he was working on the basement air. The temp when we woke up was 78 degrees. I sent out the Roadrunner newsletter. Enrique checked everything and found that we have no issues. Bob had been concerned because when the temp hits 50, the heat does not switch over to propane. Justin called the manufacturer of our thermostat ( installed May 2017) and no one can figure out the issue. We asked Justin if we could spend the night here and he said yes, they do not need the site overnight. So we added a night to our reservation at Pony Express RV Park for Friday. We are going to have to move on Saturday to a different site, but at least we have a place to stay tomorrow evening. We had put in several days here in case of additional problems. We had a 2:15 appt with a Vet at Banfield in a Petsmart just a little south of here. We have been trying to get Karlie in to see someone for quite awhile. She has been licking her sides. The Vet thinks it is the change in air or water. She ordered a medication for her. It is a cream that we have to put on 3x a day. So Karlie is wearing the neck pillow type item to keep her from licking. We returned and went to dinner at a Mexican restaurant in Ogden, just north of Sunset. The food was okay. We stopped at Costco for gas, $3.03 gal. Friday- We took our time leaving as we cannot arrive before 12:30 at Pony Express. We arrived and they charged us for the one night, then for the rest of the nights. Crazy system! They could not just add the one night to the current reservation. The gals at the registration desk were great. They re-arranged and placed us into one site for the whole stay. We do not have to change sites tomorrow morning. Unhappily, this resort was purchased by Sun Resorts.It was already expensive, and is going to become more so. We paid $57 per night for 6 nights, with our Good Sam discount. Sun is buying up a lot of very nice resorts, then they raise the prices. We already see changes as they have put in a lot more cabins. There are only 2 RV parks in the area, giving them a monopoly. 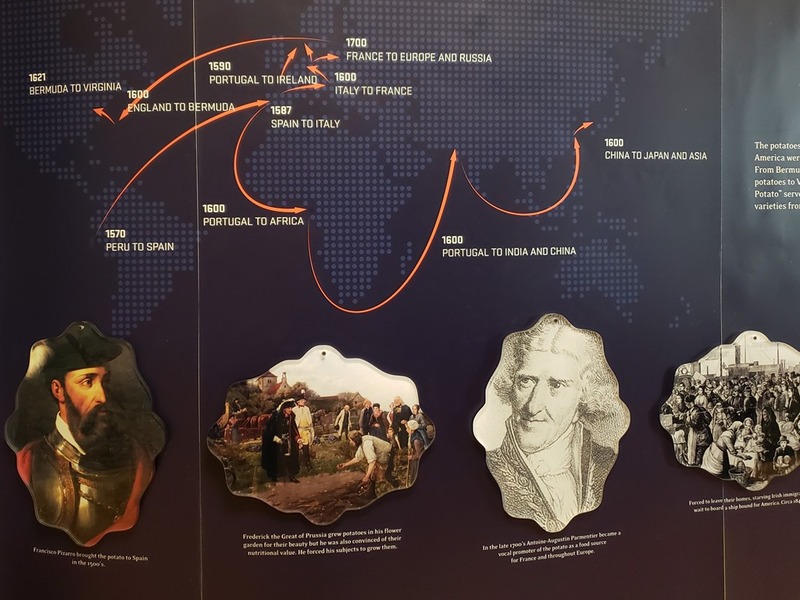 Since we do the Genealogy, and this is where you need to be for great Genealogy, we are stuck with the KOA or here. This is a nicer park than the KOA, in a safer area. 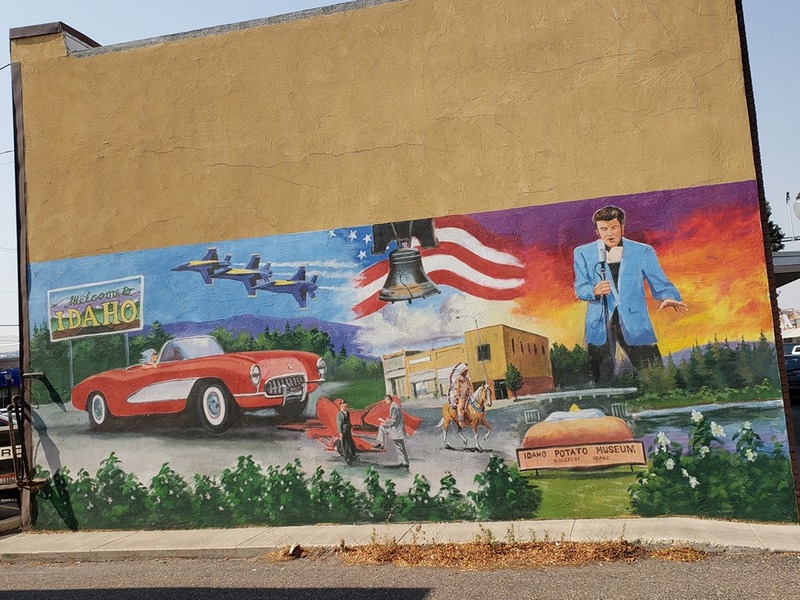 The advantage at the KOA is that you can take the light rail downtown. The price is about the same, right now. We met our neighbors, who are also full time RV’ers from Sioux Falls SD. We had a quiet evening at home.